While zero-tolerance laws have slightly curbed underage drunken driving, researchers have been unable to describe exactly why they work. Decades of studies have proven a link between alcohol and the traffic crashes that lead to thousands of deaths every year, particularly among youth. Politicians have shown a renewed interest recently in doing something about it: In 2006, a congressional bill authorized $18 million in new federal funds to combat underage drinking, including a national media campaign, money for community-based prevention groups and scientific research. Last March, the acting U.S. surgeon general launched a "Call to Action on Underage Drinking" with similar designs. Yet for all the efforts aimed at educating kids about the dangers of drinking and driving, and all the laws cracking down on the sale of alcohol to minors, the statistics remain alarming. In 2005, for example, 3,467 drivers between the ages of 15 and 20 were killed, according to the U.S. Department of Transportation. More than a quarter had been drinking alcohol. Of 159 million alcohol-impaired driving trips in the United States in 2002, more than 10 percent were made by 18- to 20-year-olds. And those younger drivers were more likely to end up in crashes than more mature counterparts. Nevertheless, many of these figures have decreased during the past several years, at least partly due to zero-tolerance drunken driving laws — suspending the licenses of young adults caught driving with any amount of alcohol in their blood. Whereas the legal limit for drivers over 21 may be 0.08-0.10 percent blood alcohol content (BAC), these rules make it illegal for those under 21 to drive with BAC of 0.02 or more — even a single beer would put many above that limit. All 50 states have now enacted these rules, spurred by a 1995 federal law mandating the government withhold highway aid funding for states that failed to pass them. Several set the limit even lower, at 0.00 percent. Since then, several research teams have shown that the laws decreased alcohol-related traffic deaths, but they&apos;ve had mixed results in analyzing that change. A 2001 paper found a drop in the frequency of driving after drinking in states where the rules went into effect, but no change in the amount of underage drinking. Three years later, another study produced opposite results: Underage males reduced heavy drinking in zero-tolerance states but drove after drinking at rates similar to the control group. At least one researcher suggested that any effect from the zero-tolerance laws could be explained by broad changes in societal norms, such as the idea of using designated drivers, along with other anti-alcohol regulations and initiatives. Lan Liang, then an economics professor at the University of Illinois-Chicago, and Jidong Huang, then a graduate student at the school, decided to take a crack at explaining the effects. (Liang is now at the government&apos;s Agency for Healthcare Research and Quality, and Huang is with NERA Economic Consulting.) They used one of the largest data sets of people aged 18 to 21, the Harvard School of Public Health College Alcohol Study, which covers 14,000 students at 120 colleges in 40 states. As in similar analyses, the control group was students who turned 21 and wouldn&apos;t be affected by zero-tolerance laws. The overall results were discouraging: Two-thirds of the students said they had a drink in the previous 30 days, half said they engaged in binge drinking (five drinks for males, four for females) in the past two weeks. Forty percent had recently driven after drinking, 20 percent after binge drinking. "It&apos;s pretty striking how many people do what we consider to be pretty dangerous things, but this data correlates with other studies pretty well," Liang said. When they looked at where students were doing their drinking, though, the researchers discovered a more auspicious trend. In states where zero-tolerance laws went into effect, underage drinkers who drank away from their homes were about 26 percent less likely to drive after drinking. The data also suggested small decreases in the amount of binge drinking in general and drinking away from home, though these weren&apos;t as significant. "It&apos;s an ingenious analysis," said Henry Wechsler, director of the Harvard study that provided the raw data. "It&apos;s hard to attribute change to a single law, but in this case, they seem to have done it." While a drop in drunken driving is good, the dynamic Liang describes could pose other problems. A significant, activist minority is concerned that underage drinking laws already push alcohol behind closed doors, into places with less adult supervision and regulation. They "have removed consumption from bars and large public venues and moved it to dark corners and off-campus locations," said John McCardell, the former Middlebury College president, now director of Choose Responsibility, an organization that advocates lowering the drinking age to 18 and creating an "alcohol license" for those under 21. By encouraging young drinkers not to drive, zero tolerance might exacerbate these problems. Some researchers, and many state legislators, support alcohol regulations with a more economic bent, such as restrictions on “happy hour” drink specials in college towns — higher prices often decrease drinking. Others, including McCardell, favor education programs that take a realistic approach, emphasizing harm reduction instead of "temperance lectures." Most studies have shown that the more comprehensive the laws and programs, the lower the incidence of underage drinking and driving. Despite disagreements over specifics, it&apos;s clear to researchers that parents and other private citizens can&apos;t tackle underage drinking and driving alone. "They can&apos;t just turn to society and say, &apos;It&apos;s up to you to control students,&apos;" Wechsler said. "States have to deal with this problem, and local municipalities have to deal with it, too." Ryan Blitstein is a journalist in Chicago and a Miller-McCune contributing editor. The Key to Safe Driving? It could be Key2SafeDriving, a new device that wirelessly links a cell phone and car key so your teenager can't call or text while driving. Study says using a cell phone while driving causes communication breakdowns that could cause misunderstandings and hurt relationships. 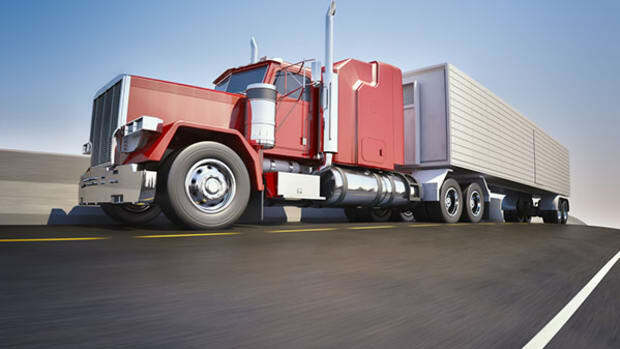 New research on the why and when of truckers abusing drugs.